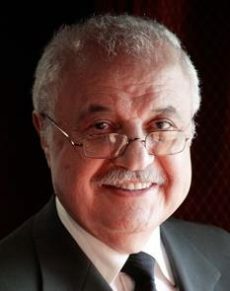 Talal Abu-Ghazaleh has played a prominent role in the development of IP law and practice in the Arab world. Since Abu-Ghazaleh Intellectual Property (AGIP) was founded in 1972, the company has become an IP powerhouse serving some 50,000 clients all over the world. During this time, Abu-Ghazaleh has provided assistance and support to governmental committees and officials charged with revising and drafting new laws and regulations for the protection and enforcement of IP rights across the region and beyond. Abu-Ghazaleh founded and continues to chair the non-profit Arab Society for Intellectual Property (ASIP), which aims to promote and develop IP protection in Arabic countries. ASIP is dedicated to the building of capacities and expertise among IP professionals and practitioners, as well as enhancing awareness among the general public. Through ASIP, Abu-Ghazaleh has worked extensively with WIPO to promote the harmonisation of IP legislation throughout the Arab region.